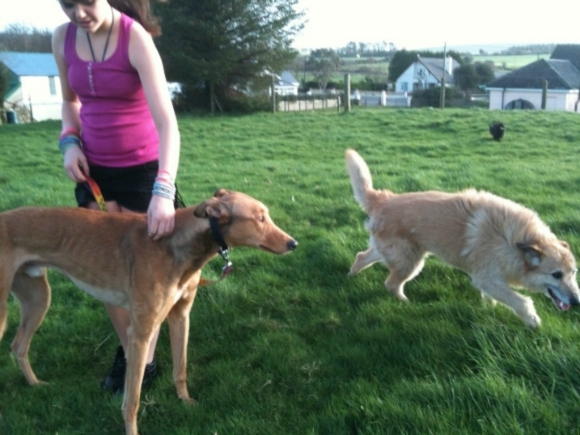 10 ex-racing greyhounds were surrended by two trainers to the dog pound in Kerry. Rescue people managed to bring them to safety. We took one of these greyhounds to our care. His foster mum named him Conan. See a small video of him, made on the very evening he was saved from being pts. Veterinarian opinion: trauma, he got hit or had been hit into his head. "I am in no doubt that he has been hit. I was playing with all of the hounds the other day and I caught hold of his nose very gently like I do with mine and he freaked and hid. I felt awful and went to him and cuddled him and he was fine after but it was an instinctive reaction he had. I am taking it very gently with him so as not to set anything off neurologically as he is starting to settle." and his tail is tucked right under. He is obviously ok with me and is used to my kids but is very distrustful and scared of anyone else." Who will be responsible? We did report this cause and never received any outcome. 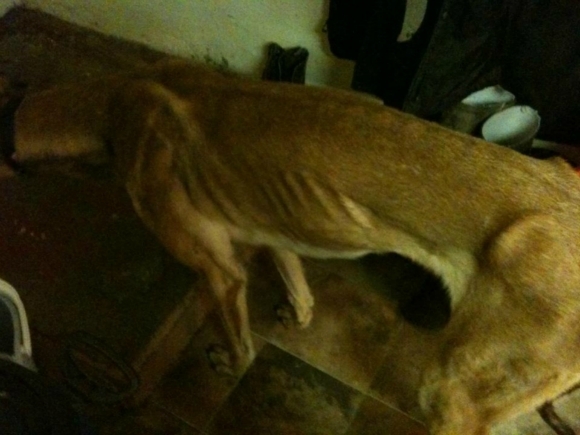 Will his owner be able to have other greyhounds in "care"?